The story focuses on Queen's formative years, leading up to the band's heralded appearance at Live Aid in 1985. Mercury died of complications from AIDS in 1991, though the film won't focus on the singer's last days. Bohemian Rhapsody was released on Cinema 177d ago in the UK. Notify me when Bohemian Rhapsody is available. Based on 20 Bohemian Rhapsody reviews, Bohemian Rhapsody gets an average review score of 54. While it's entertaining, Bohemian Rhapsody is a conventional and formulaic biopic about artists who were anything but. It's the centrifuge around which the rather uneven film whirls, and Malek keeps it going with his sheer will and talent, aided by a parade of legendary Queen hit singles. 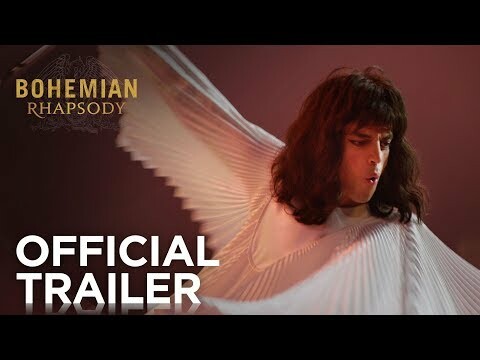 The long-awaited biopic about Queen frontman Freddie Mercury, “Bohemian Rhapsody” has arrived after eight years of development, with changing stars and a director shake-up. "Bohemian Rhapsody" is bad in the way a lot of biopics are bad: it's superficial, it avoids complexity, and the narrative has a connect-the-dots quality.